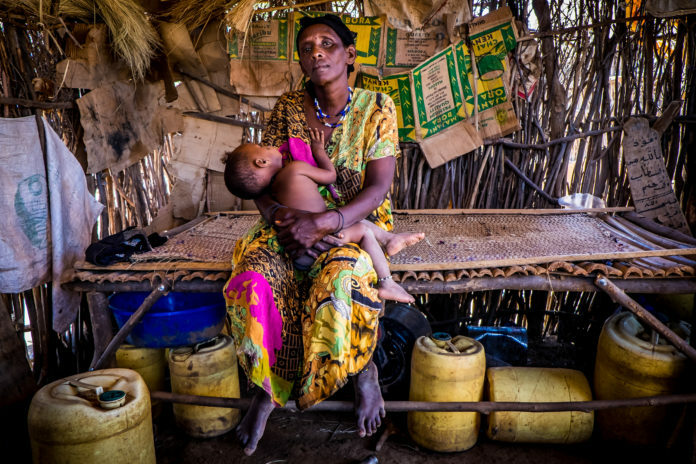 Causes of poverty in Kenya: More than 51 per cent of Kenya’s population are living below the poverty line, that is below one dollar a day. Statistics from the Central Bank of Kenya shows that the number of people living hand to mouth has increased from about 30 per cent in 2016 to about 50 per cent today. 1. Income inequality. The top 10 percent richest households in Kenya control more than 40 percent of the country’s income. The poorest 10 percent control less than one percent. 2. Life expectancy inequality. The Nyanza province has some of the highest poverty rates in Kenya. A person living there can expect to live about 16 years less than someone living in the Central province. 3. Unemployment inequality between men and women. In the 20-24 years age group, there are 274,000 unemployed women compared to 73,000 unemployed men. 4. HIV/AIDS inequality. In Nyanza province, 15 percent of the population is infected with HIV/AIDS as opposed to the North Eastern province, which has an estimated HIV/AIDS rate of zero percent. 5. Education inequality. Nearly every child in the Central province is enrolled in primary school . One out of three children in the North Eastern province go to school. 6. Water inequality. Houses in urban areas are five times as likely to have piped water than those in rural areas. 7. Healthcare inequality. In the Central province, there are about 20,000 people for every doctor while in the North Eastern province there is one doctor for every 120,000 people. 8. Child mortality inequality. In Nyanza province, twice as many children die before their first birthday than children living in the Rift Valley–that’s 133 to 61 deaths per 1,000 live births, respectively. 9. Gender outcome inequality. 93 percent of women in the North Eastern province have no education, compared to three percent of women in the Central province. 10. Poverty inequality. Poverty levels in different regions vary greatly. The percentage of people living below the poverty line in Nairobi is 44 percent. However, only eight percent of the population living in Nairobi west, Kibera division, live under the poverty line while 77 percent of the population in Makongeni, Makadara Division live under the line. 11. Bad governance: This is a major facilitator of poverty in Kenya. Bad governance and lack of proper leadership on the national level has seen wanton wastage of public resources and shocking corruption levels as public funds get embezzled. Mark you, these are funds that could go a long way in eradicating poverty in the most needy areas of the country as well as raising the ability to earn.